Initial plans were formulated in August 2008. 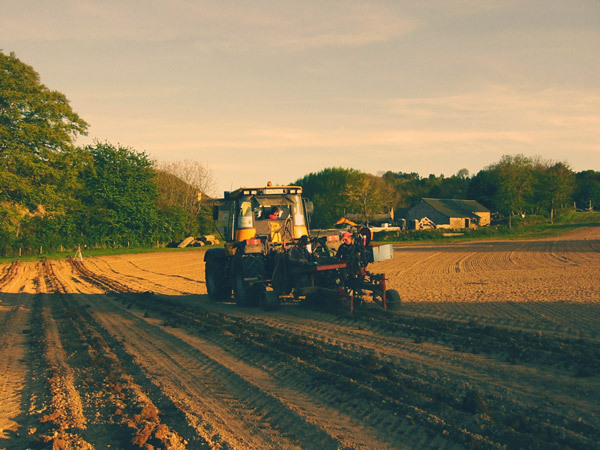 The field was chosen and soil tests were carried out and sent off for analysis. 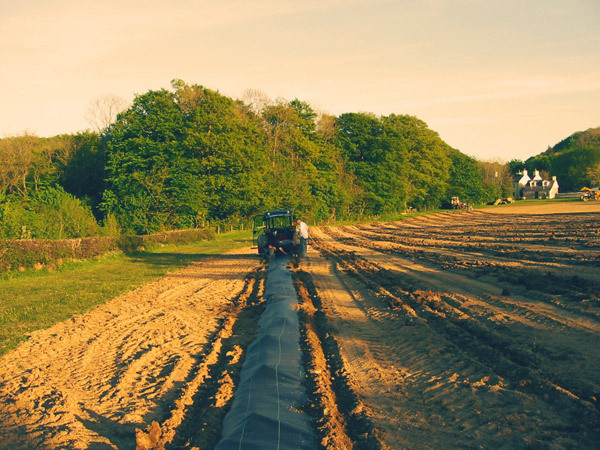 Through further consultation with Mr. Derek Pritchard, Winegrowers Supplies, Solaris (3000), Rondo (1000), Regent(1000) and Orion (275) vines were ordered and an arrangement for planting was made. This was followed by further cultivation and Mr Ernst Weis from Germany and his team of planters arrived in May 2009 for the planting. 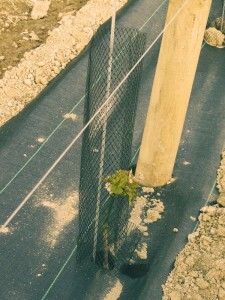 The orientation, row spacing and inter-vine distances were decided and the laser set up. 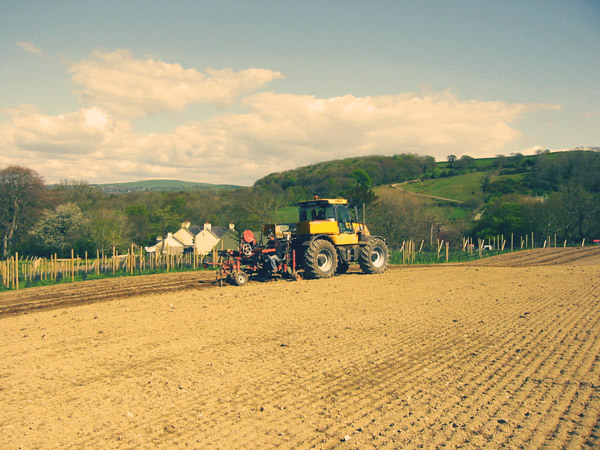 After a busy afternoon and evening, the first 5000 vines were planted. Mr Ernst and team left the next morning only to return after a terrible car accident involving their own vehicles. Work continued with a team of six (6) volunteers for a further week laying down the plastic mulch, rabbit nets and galvanised canes. The weather held up until the last day when we had continuous rain. A local contractor, Mr Paul Harries continued with trellis erection which included wires, anchor and support poles. 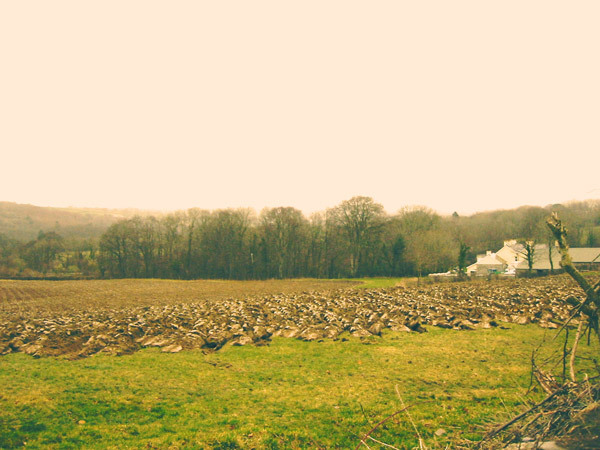 Growth of the vines was slow in the bottom part of the field and it was decided to further drain this section. The Contractor drained this section over the winter of 2009. In 2010, a further 1500 Orion were planted by Mr Ernst Weis to compete the top end of the vineyard. 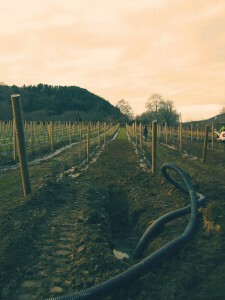 We experimented in this new section with 2 metre row spacing . Our first grapes were picked in October of 2013 and our first 2000 bottles of White, Red and Rose arrived in May 2014. 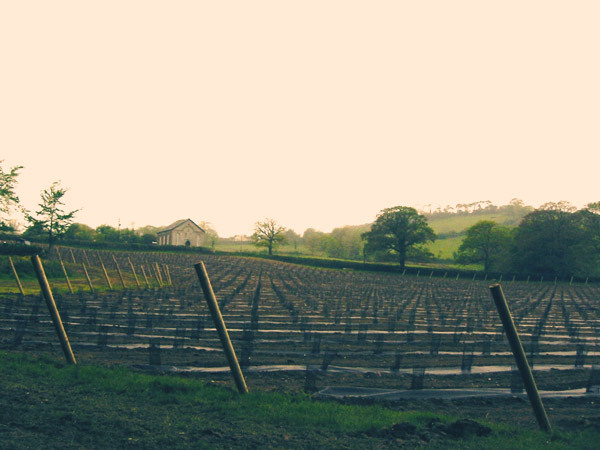 The vineyard was expanded in 2016 with a further planting of 8000 vines. These consist of Bacchus, Seyval Blanc, Phoenix, Pinot Noir, Rondo and Madeleine Angevine. These vines are expected to produce in 2020- weather permitting! A further 4500 vines will be added in 2020. 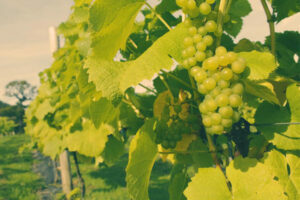 Solaris was created in 1975 at the grape breeding institute in Freiburg, Germany by Norbert Becker. Solaris is an early ripening variety with good resistance against fungal diseases and frost. It gives wines which have fruity and perfumed aromas with hints of banana and hazelnuts, with medium acidity. It is considered to be suitable for dessert wines, as it ripens to high must weights. In cooler climate, with less sugar contens, also as a dry wine suitable for fish, schrimps or chicken. Advantages: Very early harvest, high ripeness. High yielding, reliable in a poor climate. Should not need any spraying. Nice wine, develops early. An excellent variety. Disadvantages: Very strong growth requiring a lot of summer leaf-work. It is beneficial to cool the fermentation. In England it can suffer from botrytis bunch rot near to harvest, so a spray against this (before bunches close up) may be beneficial. Orion is a hybrid white wine variety bred in 1964 by Professor Gerhardt Alleweldt of the Geilweilerhof Institute for Grape Breeding at Siebeldingen in Baden, Germany, from a crossing of Optima and Villard Blanc. It was first cultivated in Pfalz, Germany, but is now principally grown in England, where it is well suited to the cooler climate. 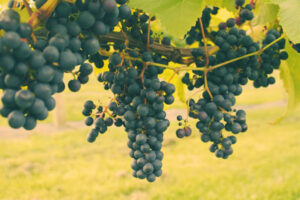 The variety has soft, balanced acidity and is often blended to produce crisp, light, aromatic wines. Grassy and herbal notes are most common to these. Orion is also sometimes used in sparkling wines. Suitable for English garden salad with potatoes, runner beans, spring onions, tomatoes, cheese and mint. Advantages: Very high yield. 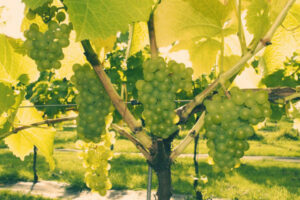 Spraying is hardly ever necessary, so ideal for Organic Wine. The wine is very easy to drink, and is ideal for blending with strong muscat varieties such as Schönburger. Disadvantages: Strong growth of side-shoots. Wines are best drunk young. Rondo is a dark-skinned interspecific hybrid variety which performs very strongly in cold climates. The variety is a crossing of Saint-Laurent and Zarya Severa - an obscure Russian variety prized for its frost-hardiness. Rondo was first bred in the former Czechoslovakia in 1964. As well as its ability to reliably ripen, Rondo is also well regarded because it is highly resistant to diseases and produces good-quality, full-bodied, deep red wines. Advantages: Very high quality full-bodied dark red wine. Can be grown on any site which is not prone to late spring frost. Consistently high yield and ripeness. A tribute to the life's work of Professor Becker. 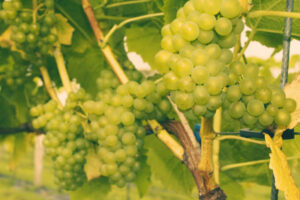 Disadvantages: In the UK in certain years (according to the weather) it can be attacked by wasps, as with all early ripening grape varieties (e.g. Siegerrebe, Madeleine Angevine). 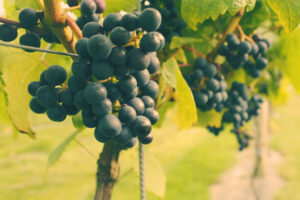 Regent is a dark-skinned hybrid variety that was developed in Germany in 1967 by crossing Chambourcin and Diana. It ripens early and favours cooler climates. Like most hybrid varieties it produces good yields and is highly resistant to disease – some say it as the most disease resistant of all red grapes. It was named after the Regent Diamond, part of the French Royal Treasury. 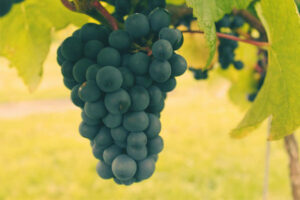 It produces densely-colored, full-bodied red wines with dark berry fruit aromas and flavors. It also has a thick skin and an abundance of tannins. 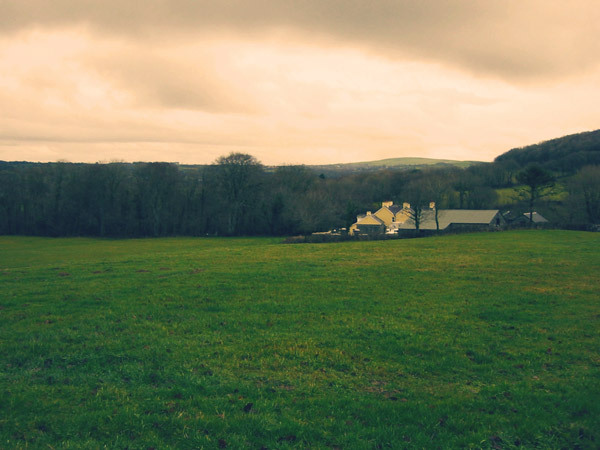 Llaethliw Vineyard is situated on the coastal plain at the foothills of the Cambrian Mountains in Neuaddlwyd, Aberaeron, on the West Coast of Wales.